Did you have a child that sucked his thumb too long? Does your child have a noticeable overbite or underbite? Do your child’s teeth come in crooked for lack of space? If you find yourself answering affirmative to any of these questions, you may need to seek help from pediatric orthodontics around Lowell. Kangaroo Smiles in Lowell, MA provides you and your child with all the services needed for your pediatric orthodontics needs. When you choose to use Dr. Mona Beylin and the Kangaroo Krew for your orthodontic services for kids, you will benefit from a practice that equally emphasizes comfort, compassion, and quality. We have designed our entire practice to meet the realized needs of parents and children just like you. With a fun, but calming decor, you will find yourself relaxed and comfortable from the moment you arrive. Your children enjoy the benefit of electronic access in the waiting room, providing games, movies and other hands-on activities. You can unwind during your short wait with a cup of coffee from our very own coffee bar! Dr. Mona and the whole Kangaroo Krew don’t just come to work to punch in the hours. 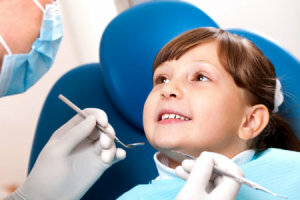 They have chosen pediatric dentistry in Lowell because they truly enjoy kids! They have compassion for the needs, fears, and challenges of children and find joy in a child’s innocence and humor. Each staff member will treat your child with patience and care during the entire visit. Dr. Beylin knows that your children need a pediatric orthodontist near Lowell that will provide them with the best treatment available. This means staying up to date on the latest dental research and medical findings, providing state-of-the-art equipment and facilities, and employing highly qualified and experienced staff members. When you need treatment for pediatric orthodontics around Lowell, choose Kangaroo Smiles. You won’t be disappointed! To schedule your pediatric orthodontics appointment with us today call 978-425-1496.